We are so thrilled to participate (for the *5th* year in a row!) 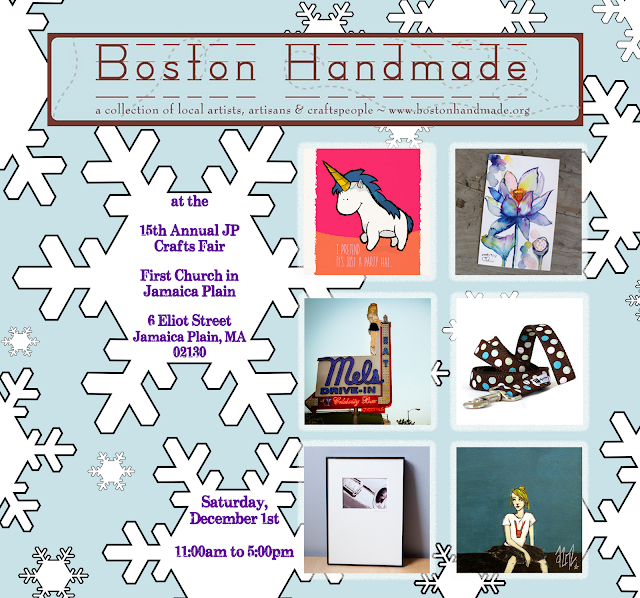 in the First Church in Jamaica Plain's annual holiday craft fair. We will be back up on the stage selling our work and celebrating the season along with 50 other artists and craftsmen. The fair will also featuring a live band and delicious homemade baked goods. What's not to love? !